Congratulations to Team India !!!! The design features a jersey with a new collar that has clear Asian influences. Toss : India won the toss and chose to field. Result : India won the match by 8 Wickets. Toss : Pakistan won the toss and chose to field. Result : Pakistan won the match by 6 Wickets. 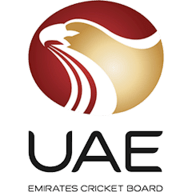 Toss : UAE won the toss and chose to bat. Toss : India won the match by 9 Wickets. Toss : Pakistan won the toss and chose to bat. Result : Bangladesh won the match by 5 Wickets. Result : India won the match by 5 Wickets.